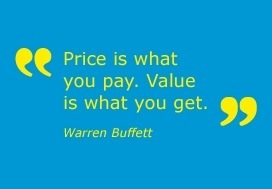 Create & Capture Value instead? Did effective seller behaviour change lot the last 40 years? Thousands of observations done every year at Huthwaite International Research Group show a majority of sales people still talk brochure, feature puke, ask too few effective questions, and invite price negotiations too early etc. Very few sellers take the most effective sales approach creating value in the mind of the customer and capture the value for their company and their own pay check. From my experience – and more research support this – only 10-20% of the sales population are outstanding performers. Thats 80-90 out of 100 sales people performing average Or worse! Well, it’s quite simple – there is no easy way and no quick fix if you’re an average performer and don’t see the value in getting out of your comfort zone changing your old habits to new and more effective ones. However, if your average performers really see the value of improving their skills, it’s only an 8-12 weeks journey for most people to transfor into a new high performance comfort zone. Almost 40 years ago our research team, headed by Neil Rackham, uncovered the secrets and best practices of effective sellers, and how they do things differently when winning the customers purchase and loyalty long term. SPIN® Selling was born, and to date our ongoing observations at Huthwaite International Research Group still confirms that these specific verbal behaviours are being applied by sales champions around the globe. Let’s have a look on what effective sellers do anno 2014. These days I observe that the ineffective sellers struggle like they newer have before – and the effective sellers – in comparison – still win profitable business – even in bad times like now. First of all, the effective sellers simply understands better how the buying psychology works in most human beings, and they know how to apply best practice skills and strategies in each stage of the buying process of their clients. High performing sellers might compare with a professional and high performing sportsman – they understand the need to practice, practice and practice again, to stay on top of their game. They keep improving and honing their skills and strategies continuously, to stay fit for fight – ending up becoming or staying the “Champions” of sales. Secondly, the skills and strategies applied today by top performers in sales are more multifaceted than ever. Best practice selling skills, account development strategies are basics. Engaging new prospects and existing clients via persuasive social media content and social canvas, using creativity, imagination and business acumen to differentiate and articulate how to help and bring value to the client. Also negotiating skills and unique strategies for winning over the hearts of procurement, customer retention skills and social marketing skills to build the reputation that will help embrace and handle the customer experience all around the buying cycle – All well planned and executed proactively. This is my picture of effective sellers anno 2014. Thirdly, the outcomes that follow: confident top performing sellers, shorter sales cycles, predictable pipeline, confident sales management, more and major signed contracts, succesful implementations and repeat purchase from happy and delighted clients. I truly respect the top performing sellers of the world anno 2014. They are fueling successful organisations in both good and bad times.